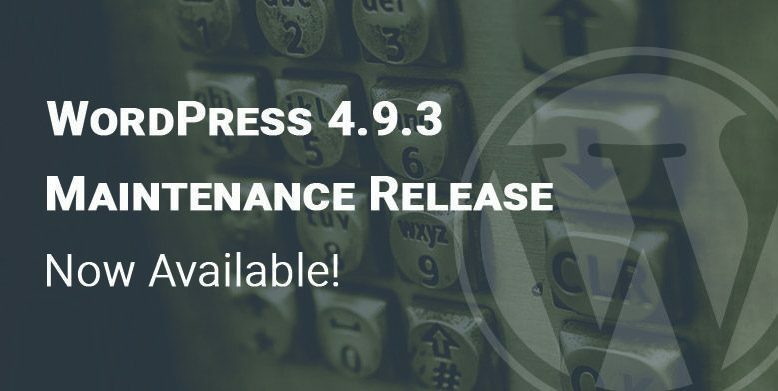 WordPress 4.9.3 Maintenance Release is now available to all the users. It can be downloaded directly or updated from within your dashboard. WordPress 4.9.3 comes as a maintenance release for all the previous versions of WordPress. It is, thus, mandatory that you update your WordPress websites right away. The release addresses 34 bugs found in WordPress version 4.9. WordPress 4.9.3 maintenance release includes fixes for Customizer changesets, widgets, visual editor, and PHP 7.2 compatibility. For more in-depth information about the changes, you can consult the list of tickets and the full list of the changelog. If your site supports automatic background updates, then just sit back and relax, 4.9.3 is already being pushed out. If you’d rather not wait or have auto updates disabled, you can browse to Dashboard > Updates and click the Update Now button. If you encounter an issue or believe you’ve discovered a bug, please post it in the troubleshooting section of the support forums.